For a “compact high-performance sports car” (BMW’s words, not ours), 1,495kg is a little on the porky side. That’s the weight of the new BMW M2, the latest (and smallest) addition to the M division’s line-up, by the way. As a comparison, the new Porsche 718 Cayman S tips the scales at a lithe 1,355kg. We wouldn’t dream of being ‘fatist’ and won’t hold that against Munich’s new challenger because the new BMW M2 manages to handle its weight with impressive ease, thanks in part to the front and rear suspension setups pinched from its M3/M4 big brothers. Sure, the chassis isn’t able to rival incredible nimbleness of its Porsche rival but, especially on UK B-roads (the M2’s natural habitat), the BMW shows a level of compliance that even the Porsche struggles to match. In fact, we’d wager that in the real world, rather than the billiard smooth universe in which most race tracks exist, most drivers would prefer the M2’s ride to even the M3/M4 duo. And that’s saying something. There’s a level of feel instilled deep within the BMW M2’s underpinnings that provides so much confidence behind the wheel. It’s just incredibly planted below the limit but, when you push it harder, it never feels like it’s going to bite you in the behind. Instead, find a twisting back route, and it just wants to be grabbed the scruff of the neck and thrashed senseless. The new turbocharged 3.0-litre engine is also a peach at its limits. At the bottom of the rev range, the M2’s powerplant doesn’t have a particularly appealing soundtrack however, push it through the mid-range drone to the 7,000rpm redline and the traditional inline six rasp, synonymous with previous M cars, begins to make itself known. It may not provide quite the same aural theatrics as previous cars from Munich’s performance division, which could often be mistaken for artillery fire, but it’s an effective tool, putting 370hp to the tarmac through an electronic differential. This can also adjust its application depending on which drive mode is selected. 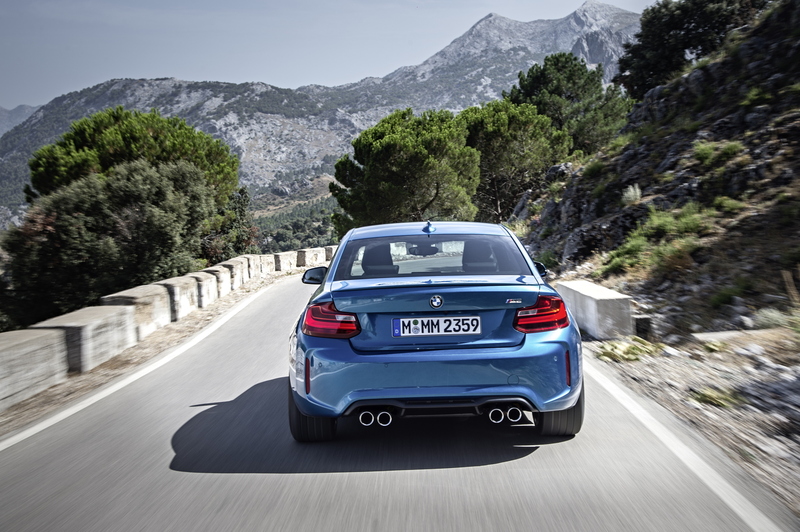 With it set to its most aggressive – and thanks to a lack of lag in the turbocharger – you can control the M2’s trajectory on the throttle, which is useful as the steering – even at its heaviest – doesn’t deliver a huge amount of feedback from the road below. The seven-speed DSG gearbox does its job with typically German efficiency, plus a nice little pop from the tailpipes on upchanges. However, with the analogue feel from the chassis, the M2’s driving experience is at its best paired with the six-speed manual, even though the movement of the lever across the gate feels a little soft for a car wearing the fabled ‘M’ stripes. 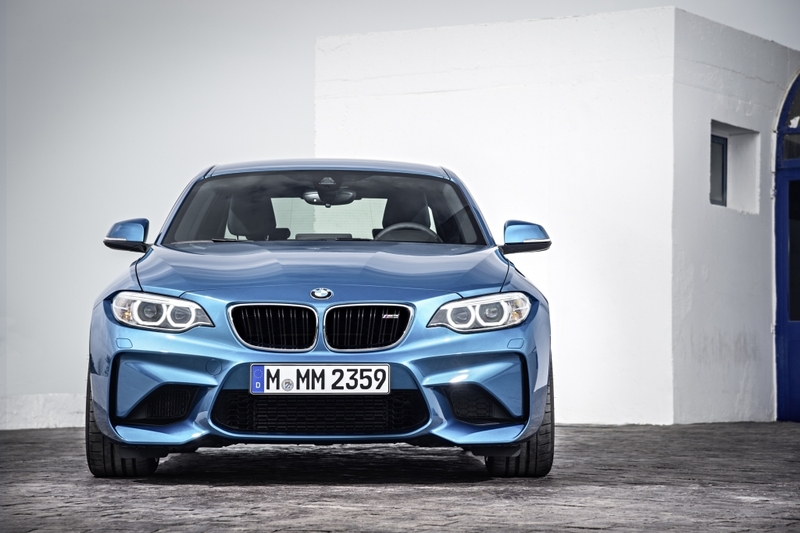 The BMW M2, therefore, doesn’t really fail to disappoint dynamically. However, that doesn’t mean it isn’t without criticism. For a car that starts at £44,080 – and can get much, much more expensive with a few options thrown at it – the M2’s interior doesn’t live up to the price tag. 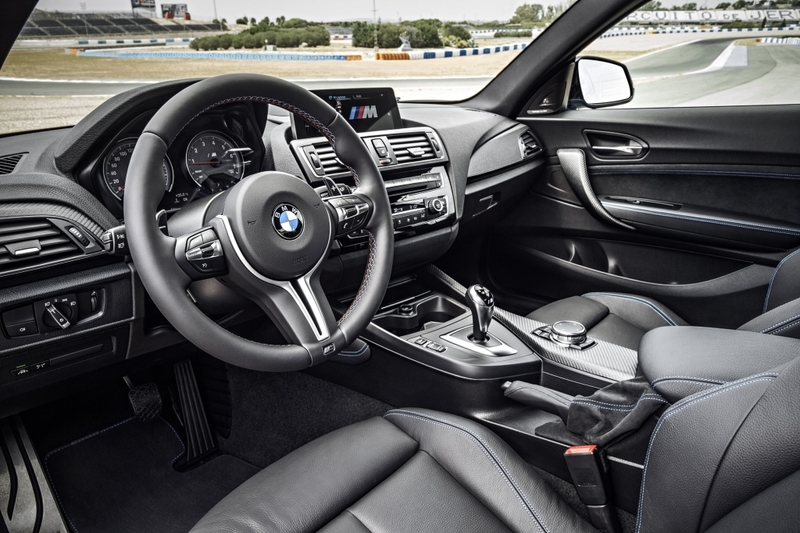 BMW’s latest iDrive system, while much improved over the original version, still feels like wandering into a digital maze while the quality of the fixtures and fittings is neither sporty nor luxurious. The plastics in many places wouldn’t feel out of place in a Renault Clio, rather than a range-topping 2 Series. But, you can afford to overlook these foibles because, when it’s just you, the M2 and your favourite stretch of twisting blacktop you’ll realise that BMW has well and truly hit the mark with the latest iteration of its ‘Ultimate Driving Machine’ philosophy.